Episode 32 – Your Yes Fantasy Live! 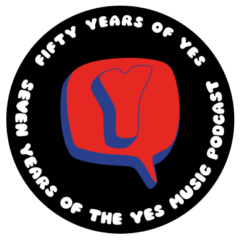 The thirty-second episode of the Yes Music Podcast featuring listeners’ ideas of their fantasy Yes live event. What would the ultimate Yes Live event be? What would the setting be and when in time? Listen and see if you agree with other listeners then let me know by leaving a comment or contacting me via the different routes on the right hand side! Michiru Kuruma sent me these! Some great ideas from everybody in this Podcast. If any one of them came true we would all be happy. Hey Kevin, any thoughts of turning your attentions to live albums?